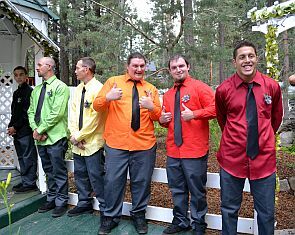 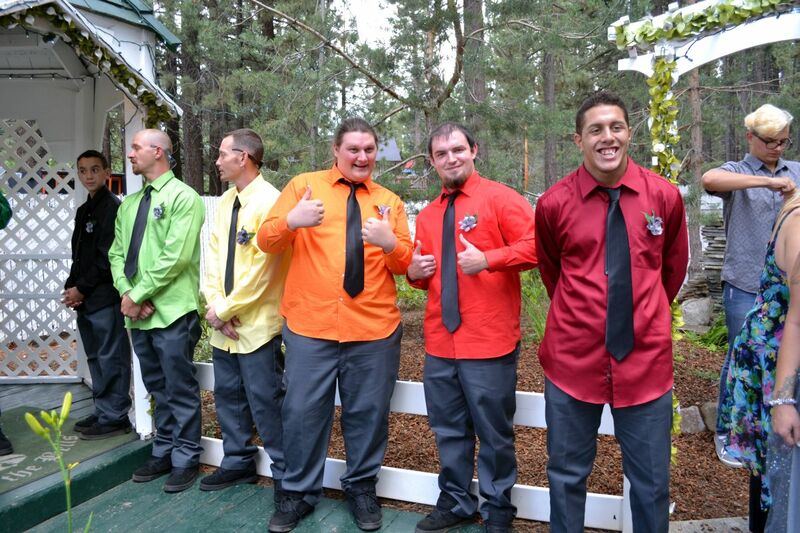 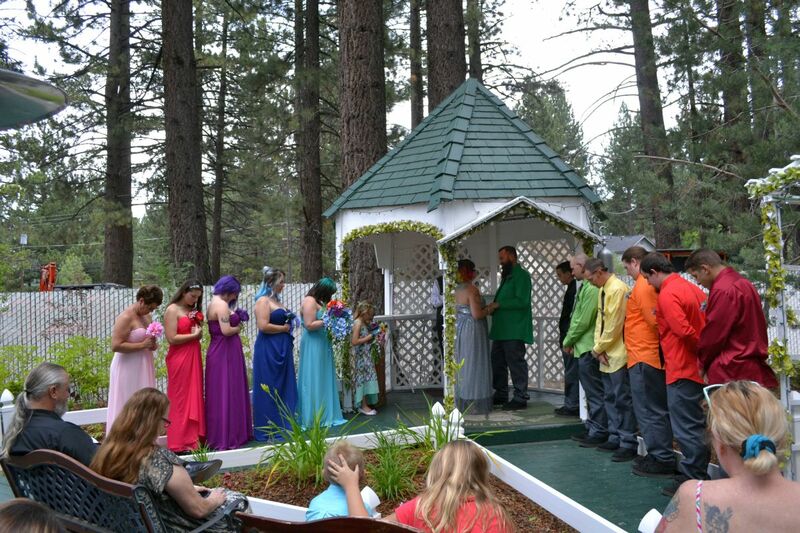 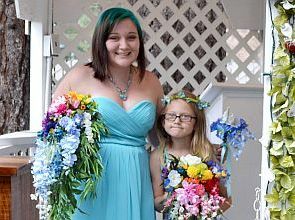 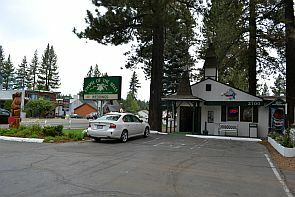 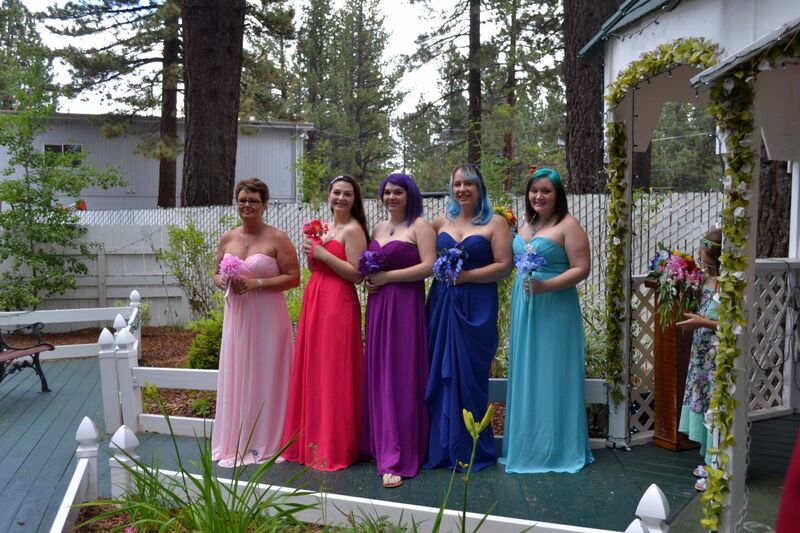 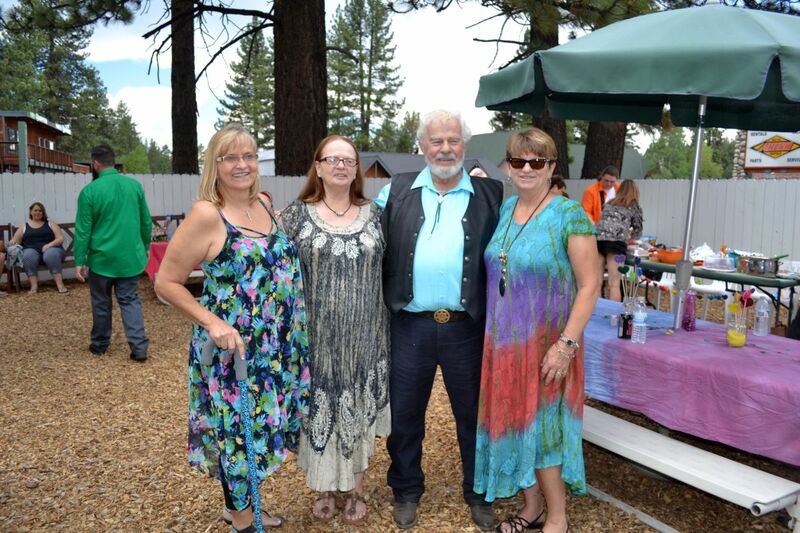 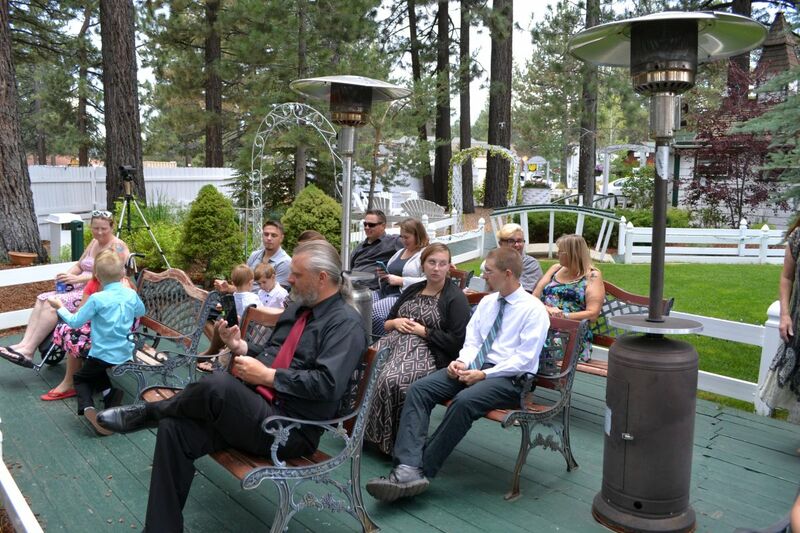 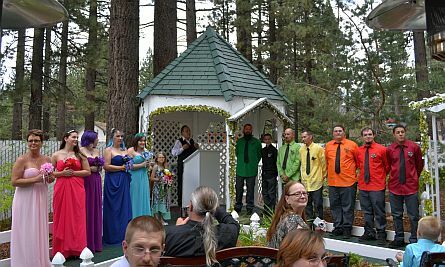 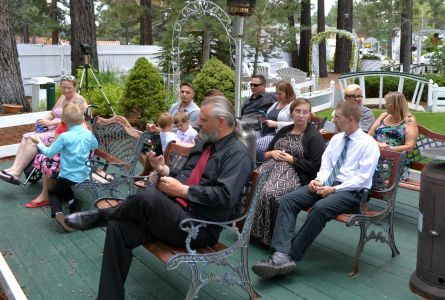 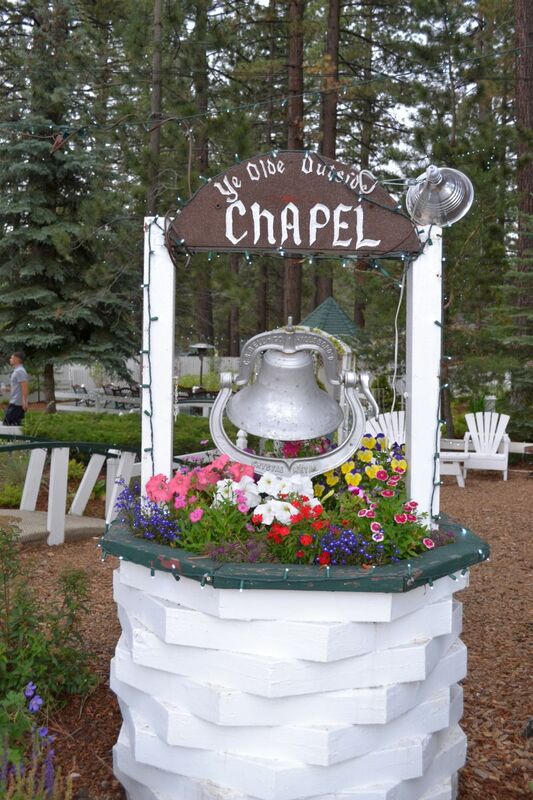 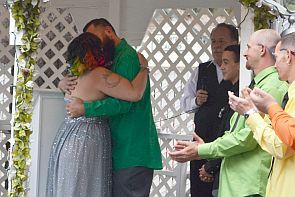 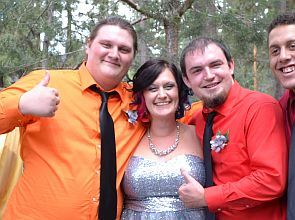 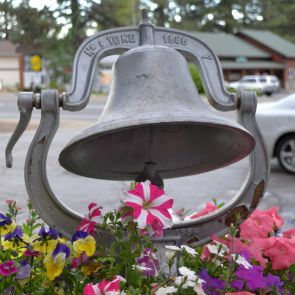 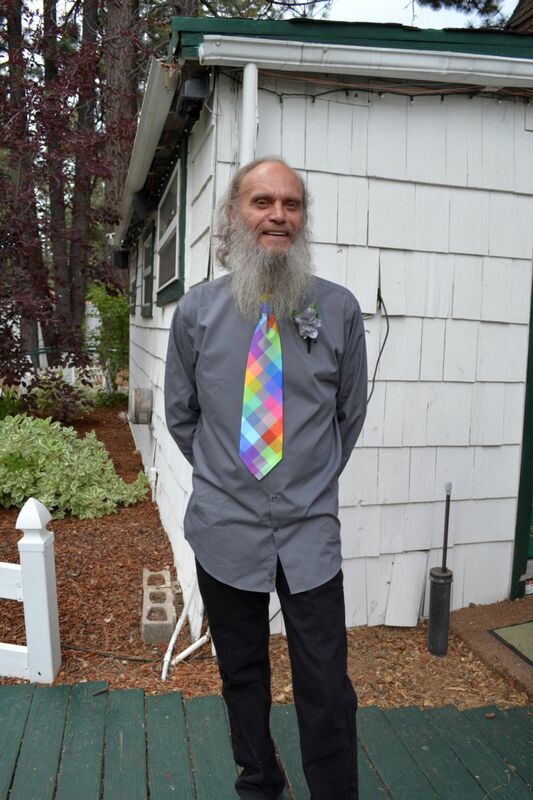 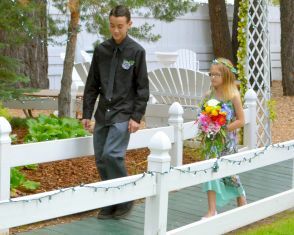 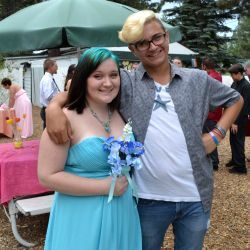 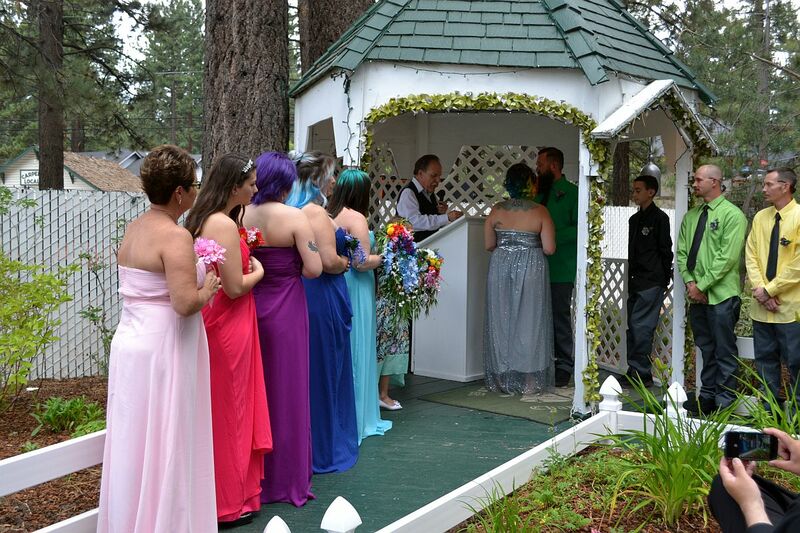 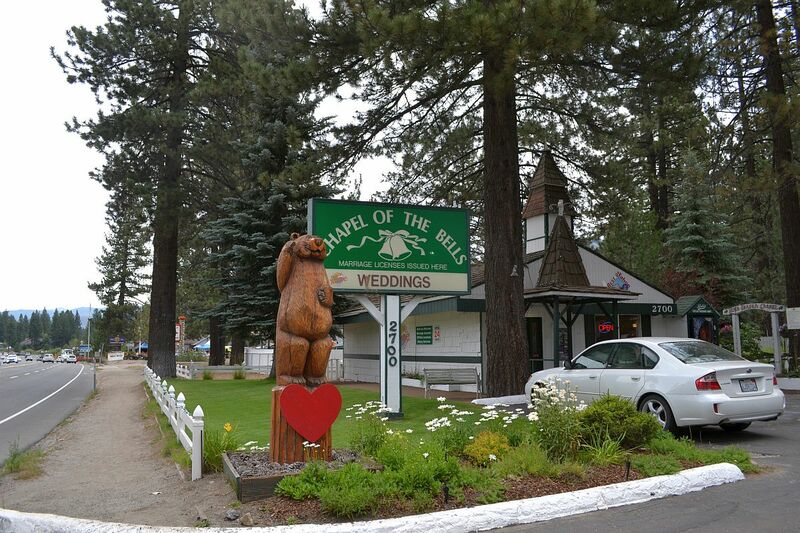 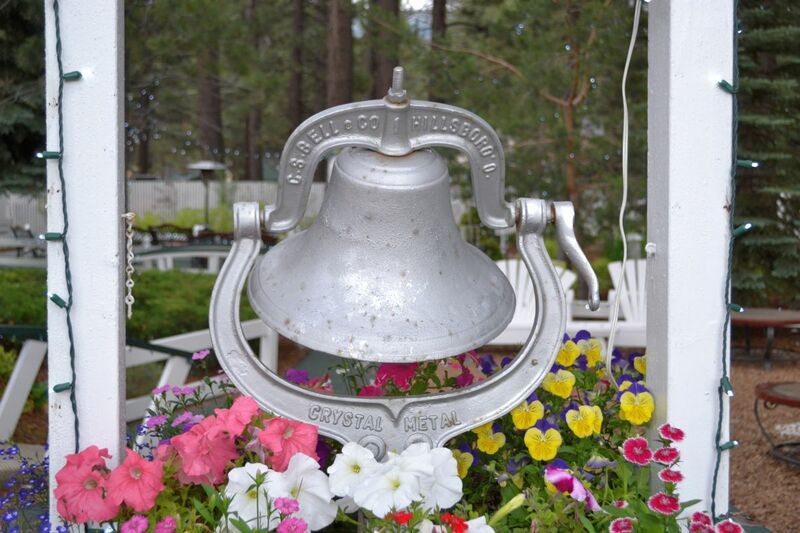 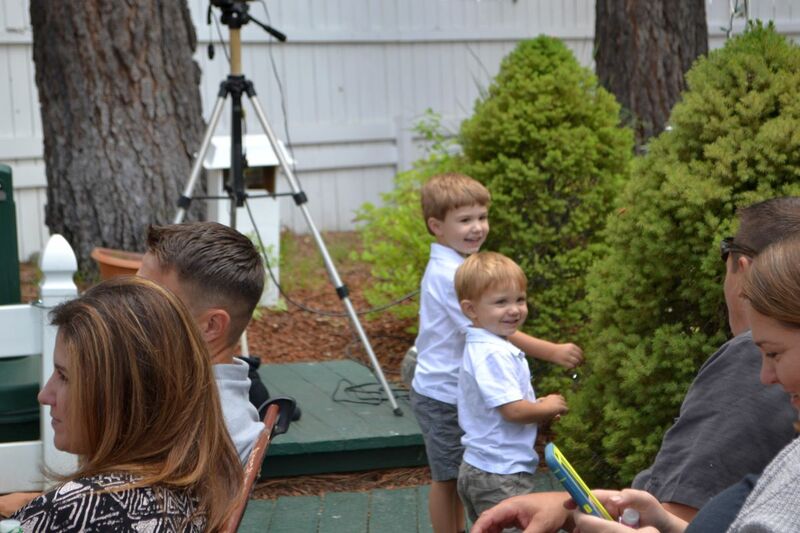 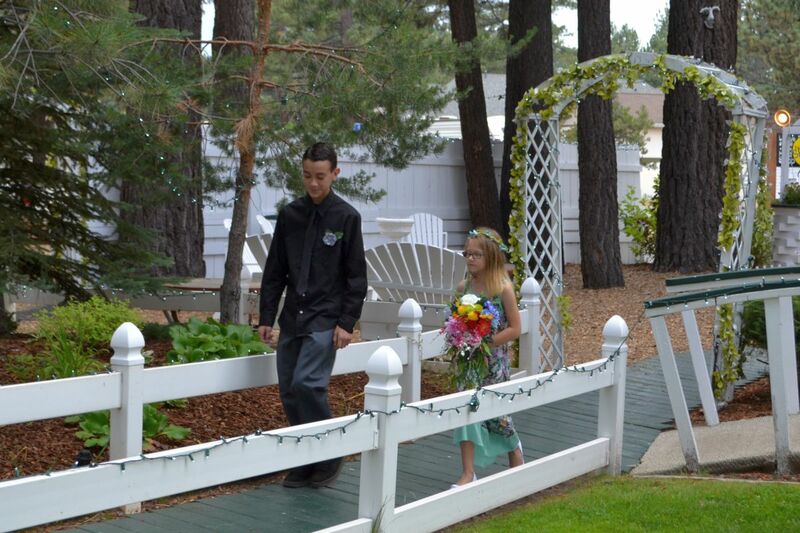 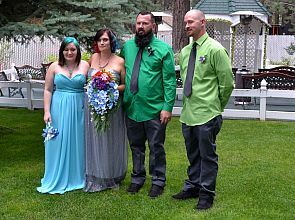 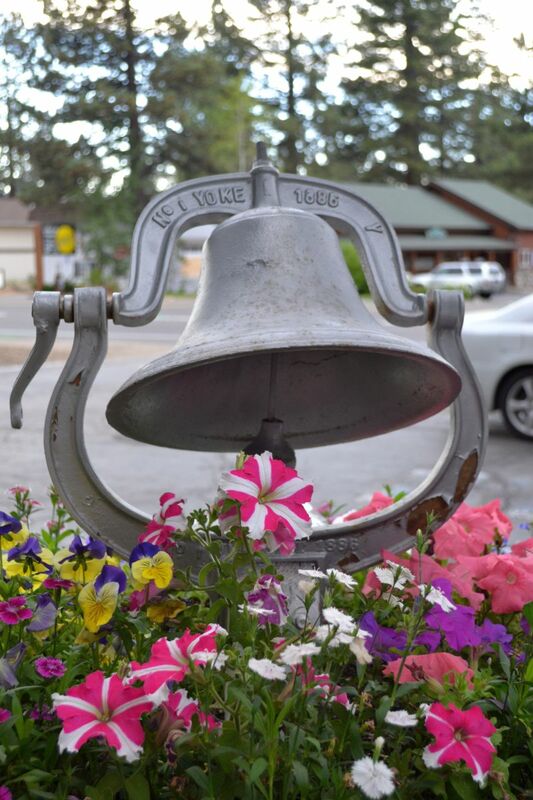 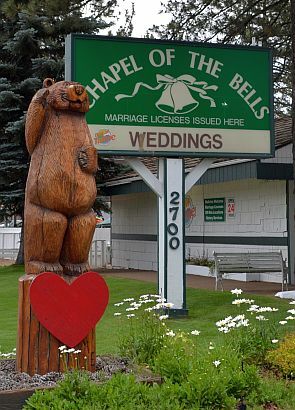 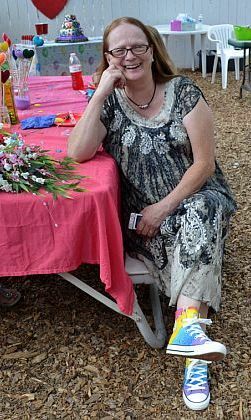 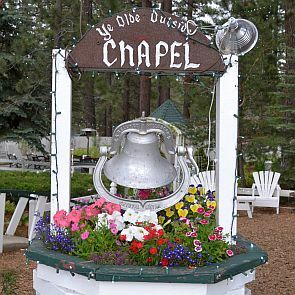 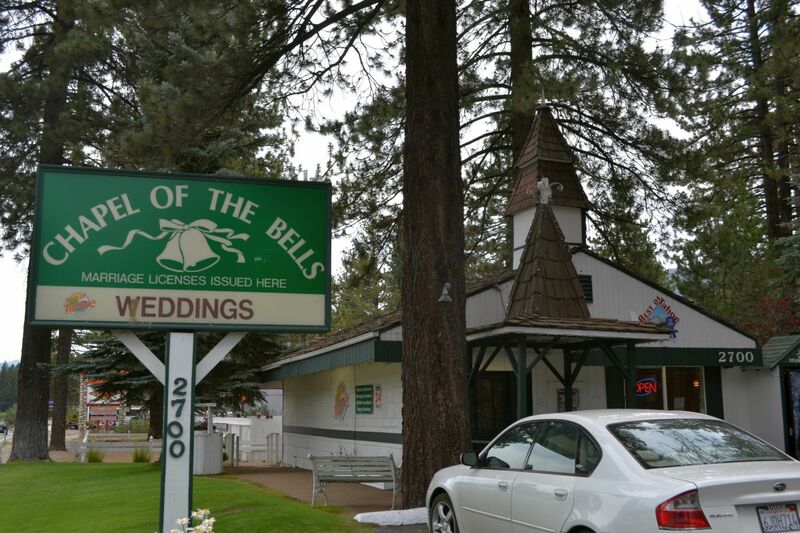 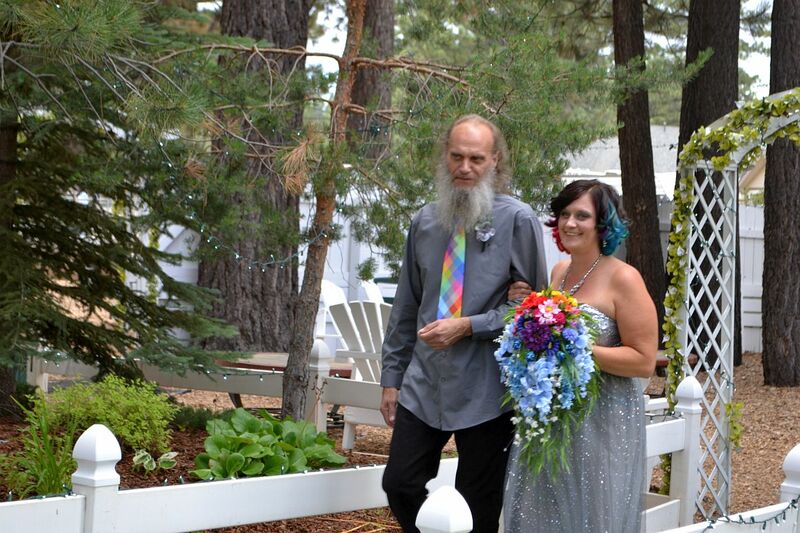 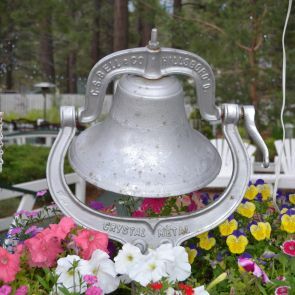 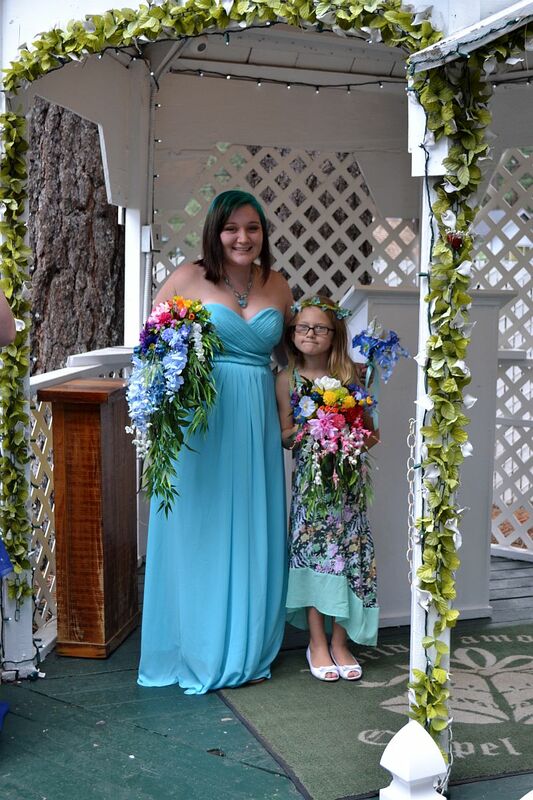 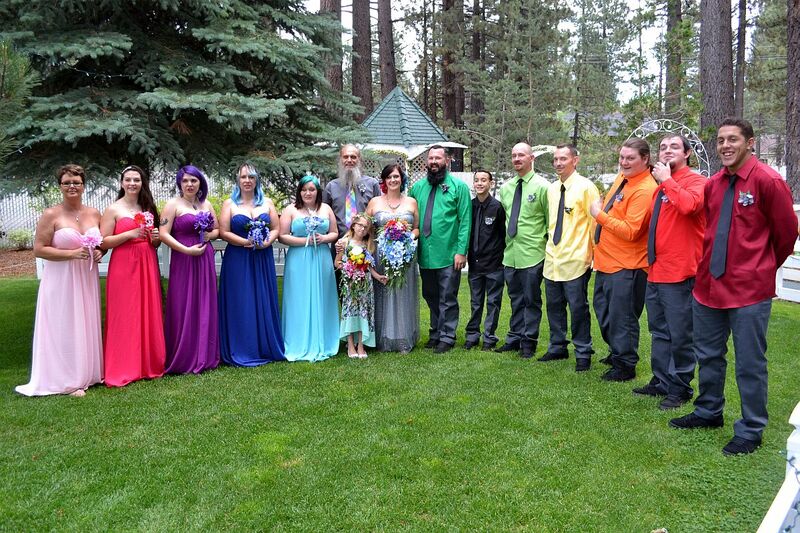 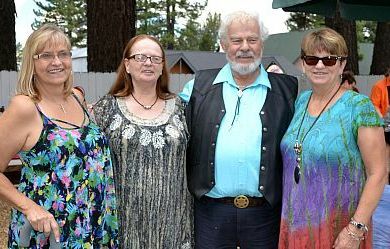 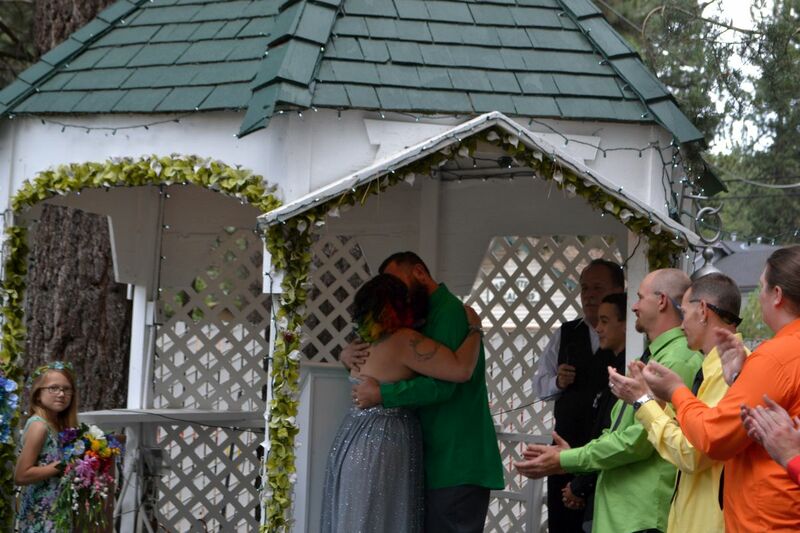 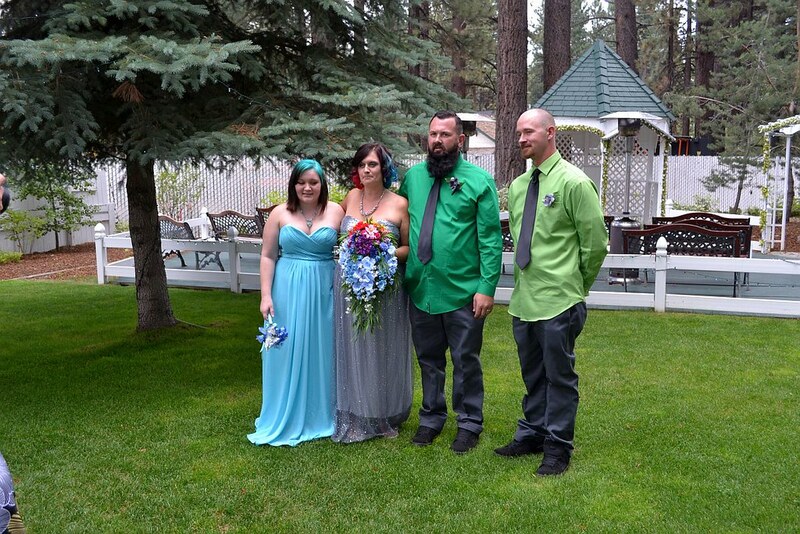 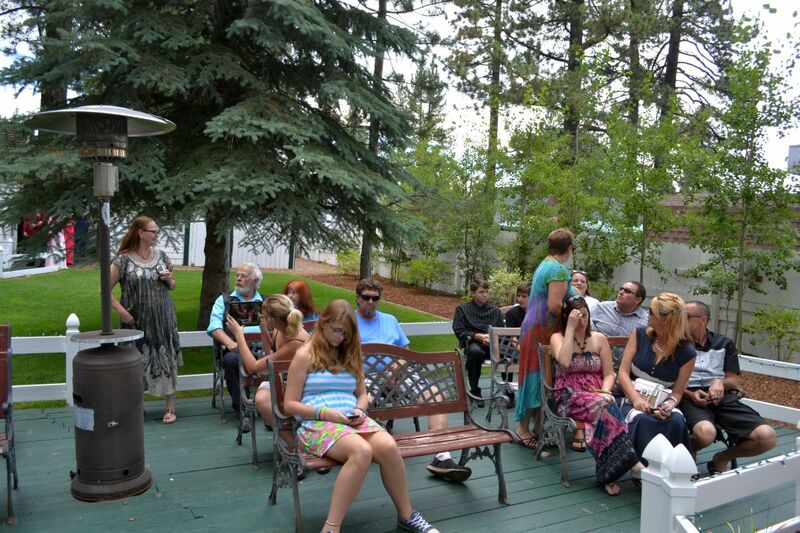 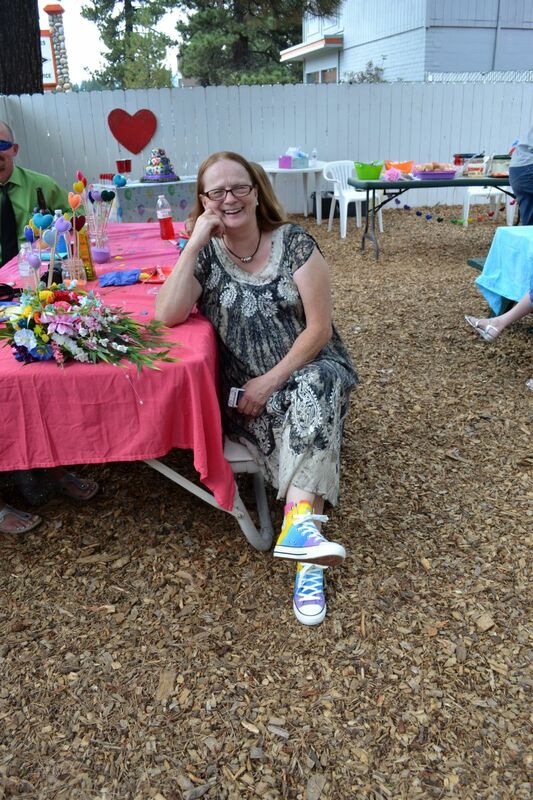 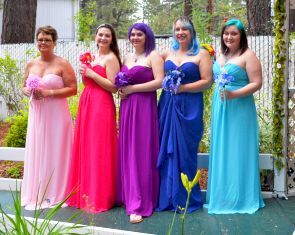 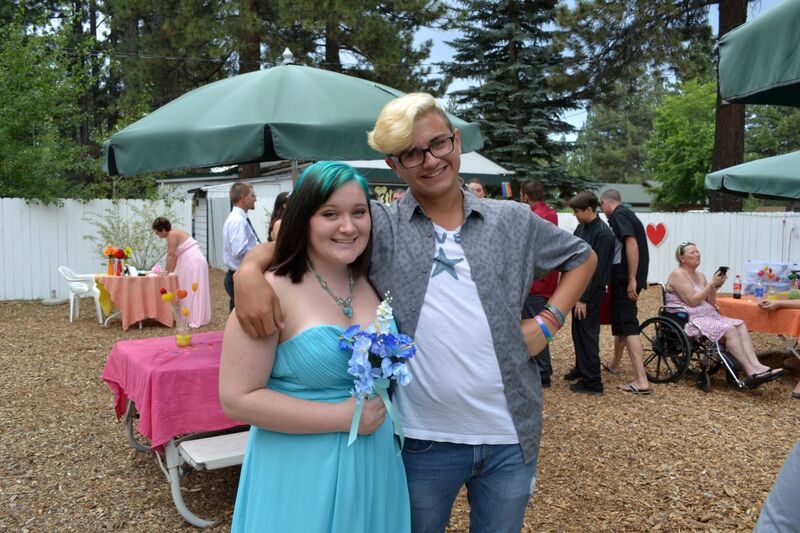 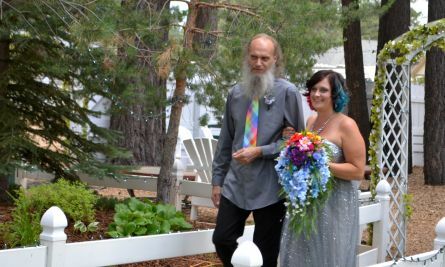 On August 1, 2015, Judy's niece Autumn got married in a small Chapel at beautiful Lake Tahoe. 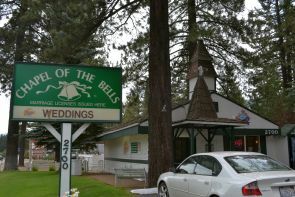 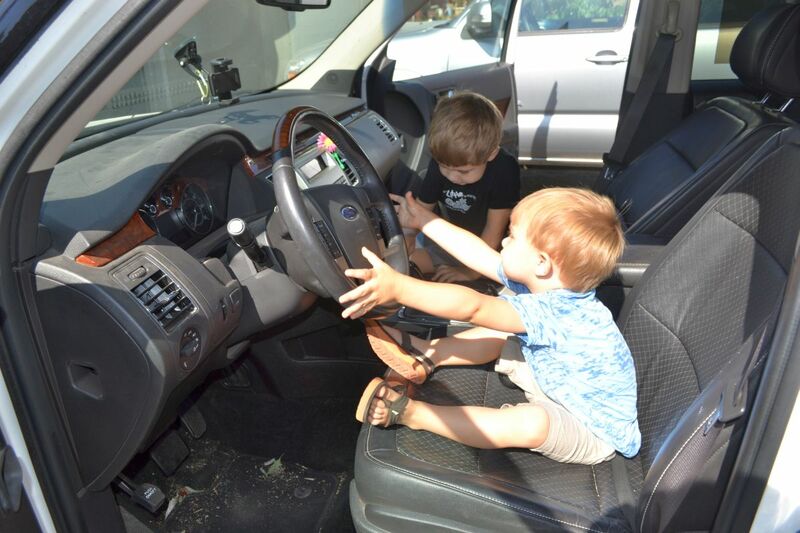 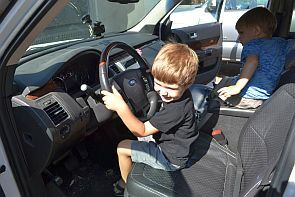 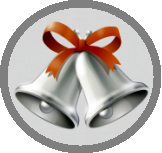 With the help of our two professional drivers, we arrived safely at the Chapel of the Bells. 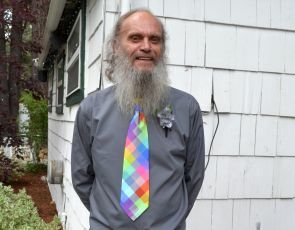 from the family tree over the wedding cake to Butch's tie. 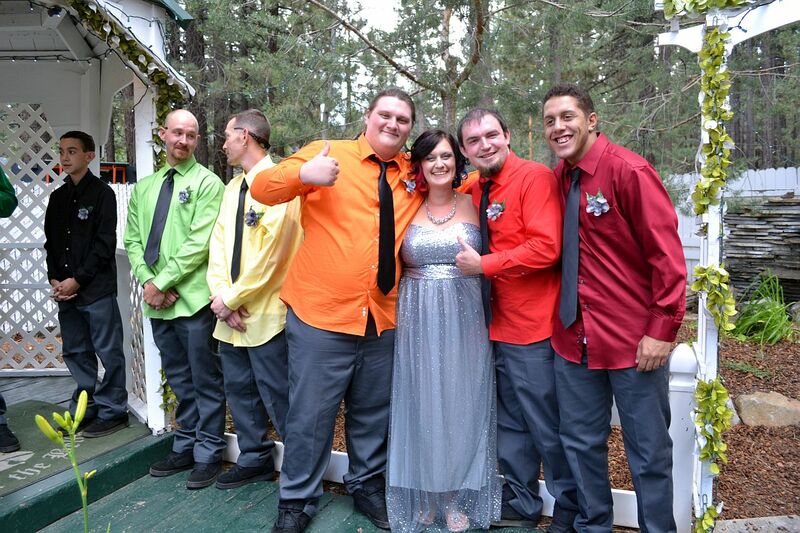 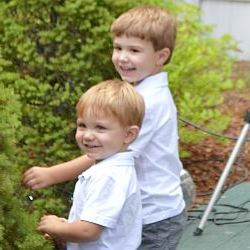 Bride's maids, flower girl and groom's men. 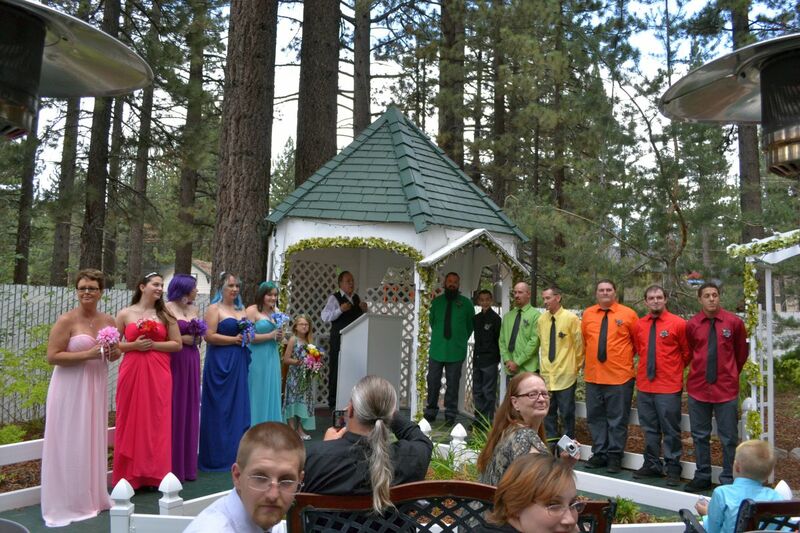 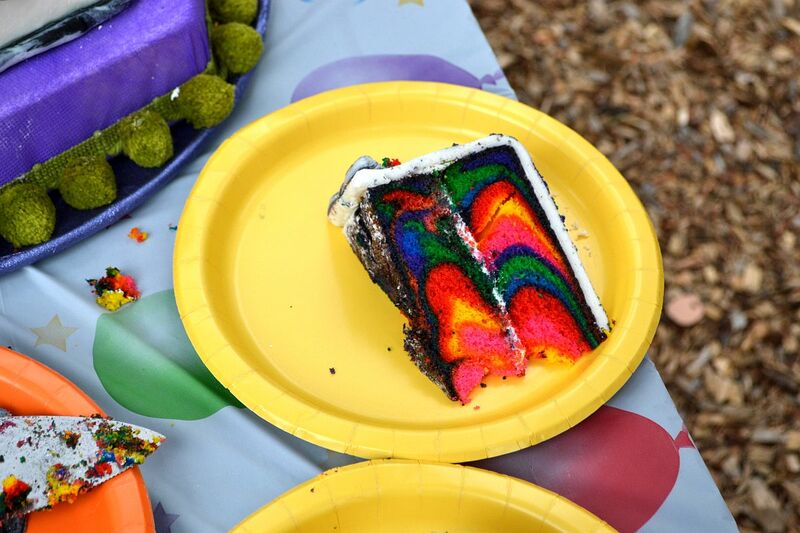 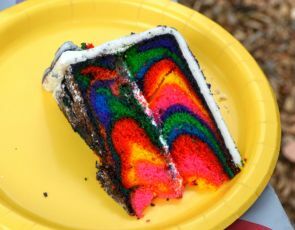 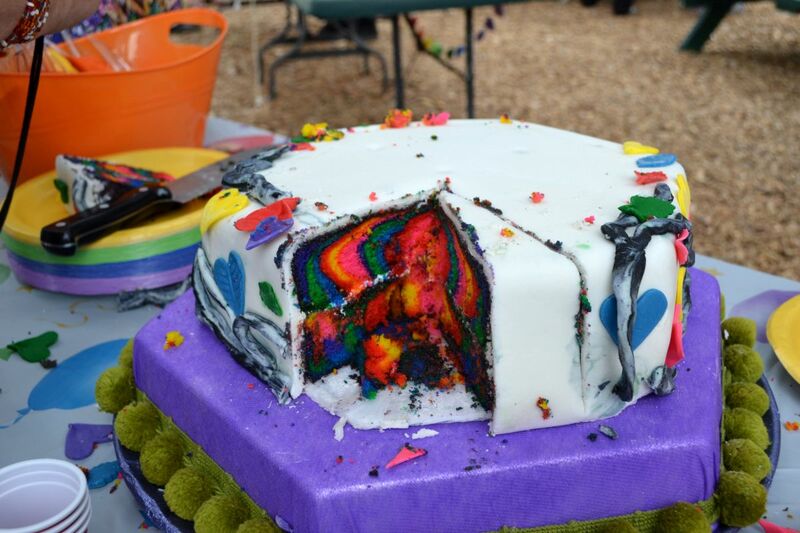 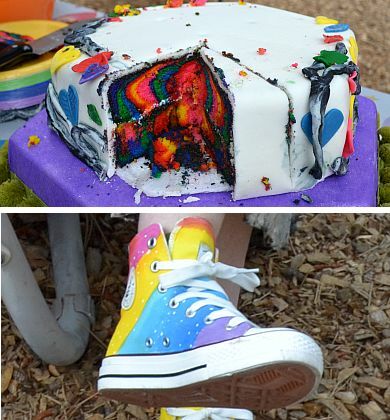 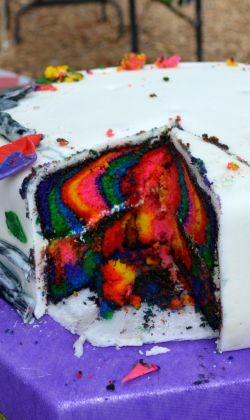 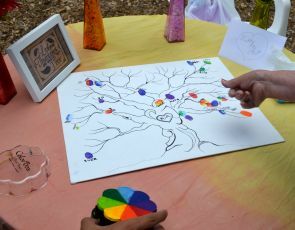 Happy guests and happy rainbows everywhere.